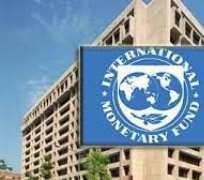 The International Monetary Fund (IMF) has ranked Nigeria as the world's second worst country in the use of sovereign wealth funds. According to the Bretton Wood institution, Qatar is the only country worse than Nigeria on the index. In Fiscal Monitor Report released by the International Monetary Fund (IMF) in Washington on Wednesday, it explained that the index was compiled using the corporate governance and transparency scores of the sovereign wealth funds and the size of assets as a percentage of 2016 GDP of the countries considered. The IMF ranked thirty-three oil-rich countries altogether, and Nigeria was ranked 2nd worst on the list, just behind Qatar. Following Nigeria is Sudan, ranking 3rd country worst with depleted Sovereign Wealth Fund. The IMF noted that the governance challenges of resource-rich countries call for ensuring a high degree of transparency and accountability in the exploration of such resources. Specifically, Countries should develop frameworks that limit discretion, given the high risk of abuse, and allow for heavy scrutiny. For instance, IMP stated that Mexico adopted high transparency standards to recover public trust in the management of the oil sector. In the report, the IMF stressed that the sheer size of economic rents associated with natural resources demands strong political, legal and economic institutional framework. However, Such rents create incentives for payment of bribes or even state capture to secure control over the country's natural wealth. IMF revealed that it is critical to develop a strong institutional framework to manage these resources—including good management of the financial assets kept in sovereign wealth funds—and to ensure that proceeds are appropriately spent.